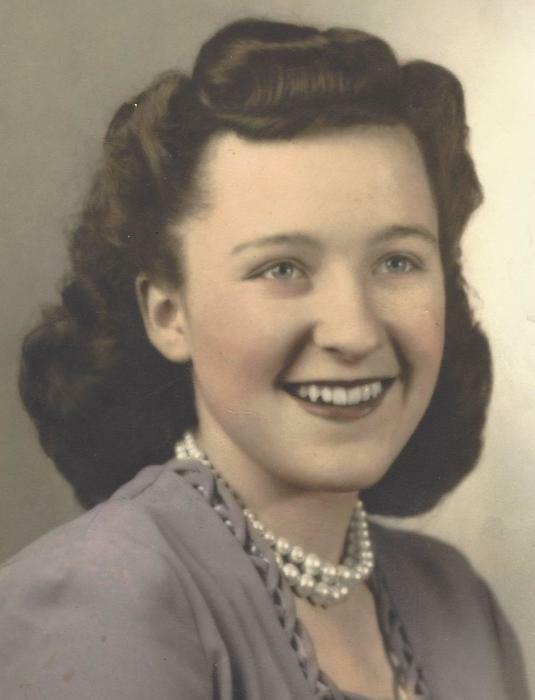 Elizabeth “Betty” McGinley, 89, of Lorain, passed away on Thursday, August 16, 2018 at The Abbewood in Elyria, OH. She was born on August 9, 1929 in Altoona, PA. Betty graduated from Altoona High School. She met her beloved Patrick C. McGinley and they were married in 1948. They moved to Lorain, OH where she was a member of St. Anthony of Padua. She worked at Kmart until her retirement in 1997. Betty enjoyed traveling to Las Vegas and Atlantic City with her husband and taking trips with her friends to Greek Town in Detroit. She is survived by her daughters, Lucinda (Daniel) Schue of Elyria and Eva Snyder of North Ridgeville; grandchildren, Jason (Susan) Schue: and Heather and Steven Snyder. She was preceded in death by her husband of 44 years, Patrick C. McGinley in 1992. A Mass of Christian Burial will be held at 10:00 AM, Tuesday, August 21, 2018 at St. Anthony of Padua, 1305 E. Erie Ave., Lorain, Rev. Edward J. Smith, Pastor, officiating. Private Christian burial services will be held at Calvary Cemetery in Lorain at a later time. In lieu of flowers, memorial donations may be made in Betty’s memory to New Life Hospice, 3500 Kolbe Road, Lorain, OH 44053 or to St. Anthony of Padua, 1305 E. Erie Ave., Lorain, OH 44052. Arrangements and services by Reidy-Scanlan-Giovannazzo Funeral Home and Cremation Services, Lorain (440) 244-1961. Online condolences and gifts of sympathy may be shared with the family by using www.rsgfuneralhome.com.